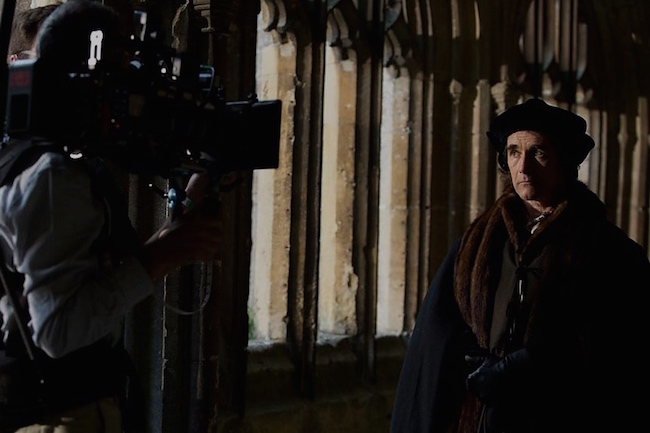 Have you been watching the BBC’s television adaptation of Hilary Mantel’s Wolf Hall? If so, do not worry, there is no need to adjust your television set: the Tudor times really were that dark. Lighting was something of a luxury, in the olde days. On the one hand, I respect the BBC for trying to promote a true representation of the era; gloomy rooms and depressingly short nubs of candle wax that would only have seen you through two chapters of the bible before you were forced by the darkness to an early bedtime, but on the other: GOOD GOD, BBC, YOU ARE MAKING ME BLIND! Everything has been rendered in dark charcoal and black, it’s just big dark squares and circles moving over the screen! Trying to work out what’s happening in Wolf Hall is like attempting to find your socks at 5am when you don’t want to switch the bedroom light on! Light was a bit of a commodity in the Tudor times, it seems; at nighttime you had to be able to afford candles, and if you were poor you probably had some sad stub of animal fat to carry about with you as you beat the lice from your straw pallet and ate your leek stew with the end of a sharpened twig. (Note that none of this information is historically accurate – just a stab in the dark, if you’ll excuse the pun.) If you were rich, however, like the King or Cardinal Wolsey, you would have had candles all over the shop. But still, nothing would have been lit up to our very comfortable modern standards. Those festive and welcoming hog-roast dinner dances that you see in the films would no way have been as bright as a 24-hour Tesco seems at 3am. And all of those period dramas that see poor people wearing hessian smocks, skipping about with gay abandon lighting lanterns here there and everywhere: a lie. Actually, I don’t know whether or not those period dramas exist, but what I do know that Wolf Hall is one of the darkest I’ve seen, in terms of visibility. It’s like trying to watch a movie on one of those seat-back screens on an aeroplane when the tilt function has broken. Dark on dark on dark. Mine eyes. Right, I must shut up before I blurt out any more factual inaccuracies. Hope you’re enjoying Wolf Hall so far – I did my thesis on the novel, so it’s very interesting to see how they’ve adapted it for television. There are quite a few pregnant pauses, aren’t there? Maybe their sound budget was slashed as well as the lighting one! Ha! One thing I have noticed in this adaptation is that all the women seem to be after a piece of Cromwell, it’s flirty-flirty here and kissy-face there.. I’m pretty sure that wasn’t suggested so heavily in the novel? Wolf Hall is on every Wednesday evening at 9pm, BBC2. Image taken from the BBC Website here. Previous Post Sorted Food: Can Food Make You Beautiful?